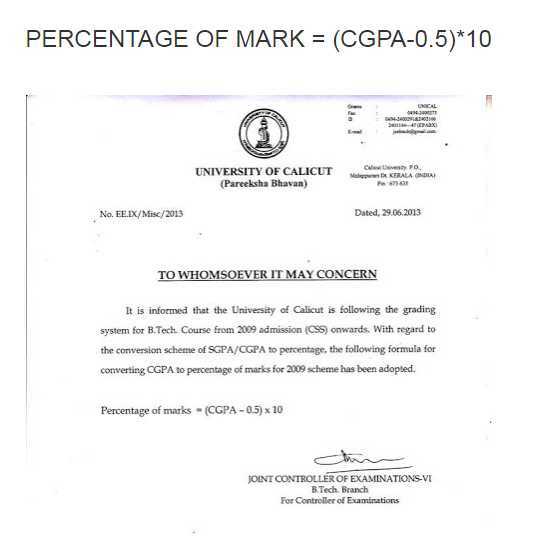 Hi I want to take admission in Calicut University so I want to convert my CGPA to percentage so please tell me the procedure to convert the CGPA into percentage and also tell me is there any calculate to convert the CGPA into percentage ??? Hi buddy I want to know system of CGPA To Percentage conversation at Calicut University , so would you plz tell me about the same ?? University of Calicut is the largest University in Kerala and is the second university to be set up in Kerala.